Unleash your creativity. 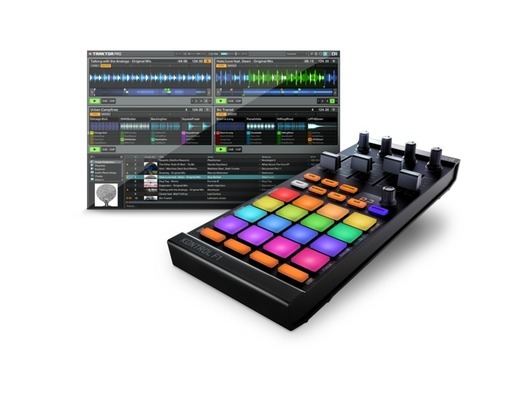 TRAKTOR KONTROL F1 delivers hands-on, live remixing with TRAKTOR's new Stem Decks and clip-based Remix Decks. 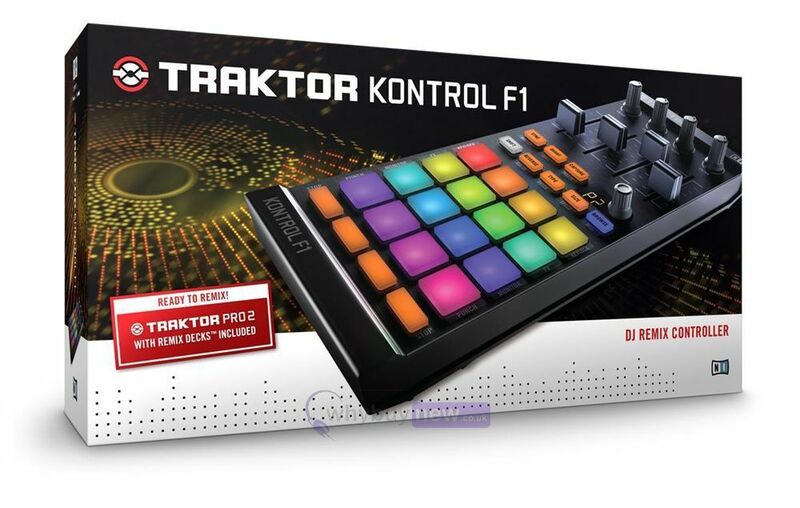 Deconstruct and reconstruct with TRAKTOR KONTROL F1. 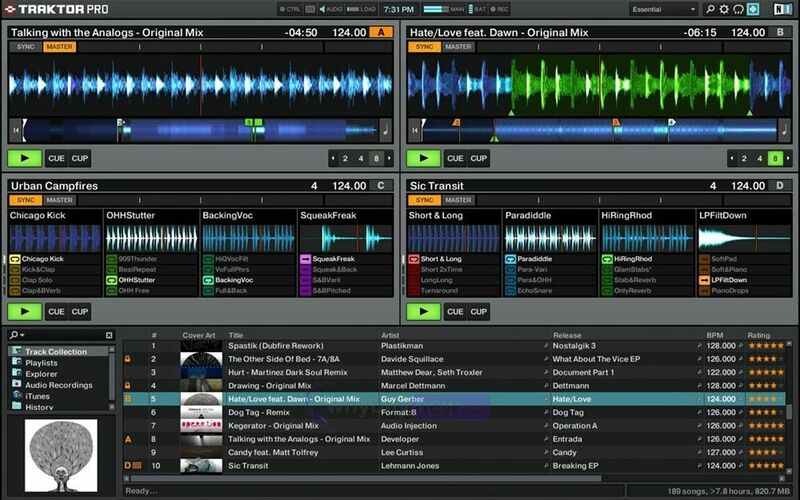 Capture and load all your favorite loops and samples on-the-fly into Remix Decks. Any sound imaginable becomes a building block for your own remix masterpiece. Or explore a new way to mix with your tracks using the F1 with Stems - a new multi-channel file format for creative mixing. 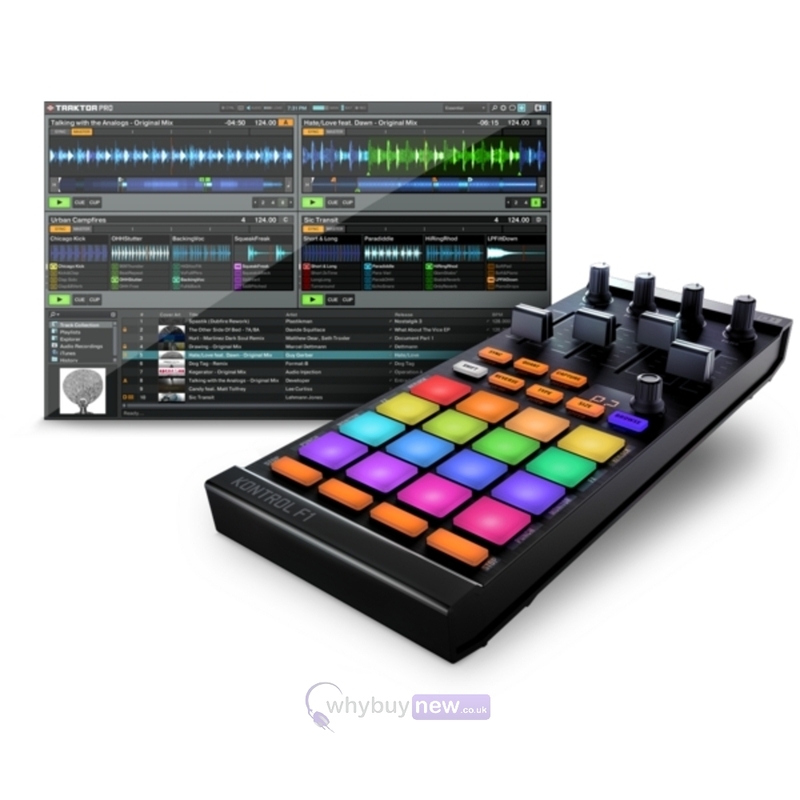 Four volume faders and dedicated filter knobs allow mixing and filtering sounds loaded in the Remix Deck slots or the four different parts of a Stem file. Mute and unmute Remix Deck Slots or Stem parts with the touch of a button. 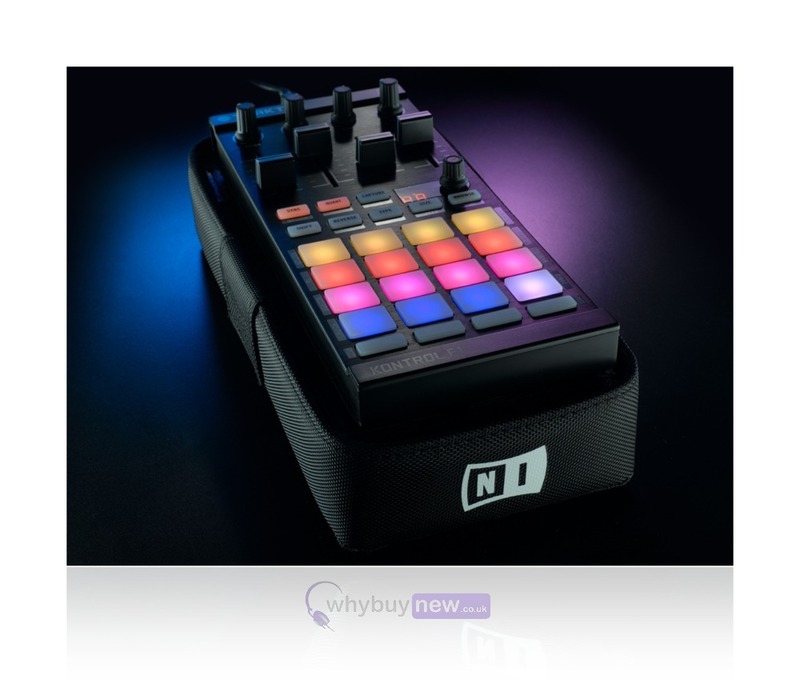 Or trigger and arrange Remix Deck sounds with sixteen multi-color pads to add live, spontaneous flair to your performance. 4 dedicated filter knobs, one per Remix Deck slot or Stem part. Plus 4 robust faders deliver precision volume control for individual Remix Deck or Stem Deck channels. Load entire Remix Sets instantly or browse and load individual sounds or Stem files from TRAKTOR's browser. Scroll through 4 pages of 16 pads with the push encoder. Capture loops live from running track decks. Trigger Remix Deck loops and samples with 16 multi-colored pads. Pressing the Shift button accesses functions like Punch mode and FX assignments. The smaller pads at the bottom mute a slot or stem. And keep watch on your Stems' volume - the pads act as level meters for a loaded Stem file. Monitor with 1024 x 768 screen resolution, USB 2.0, 1 GB free disc space, high-speed internet required.